The Man In The Grey Flannel Suit (Dir. Nunnally Johnson) (1956): An ex-soldier faces ethical questions as he tries to earn enough to support his wife and children well. Twelve O'Clock High (Dir. Henry King) (1949): Convinced an Air Force Commander is at breaking point, Brigadier General Savage (Gregory Peck) takes over his struggling bomber group. At first resentful and rebellious, the flyers gradually change as Savage guides them to amazing feats. But the stress of command soon takes its toll and the weary general reaches his own breaking point. Gentleman's Agreement (Dir. 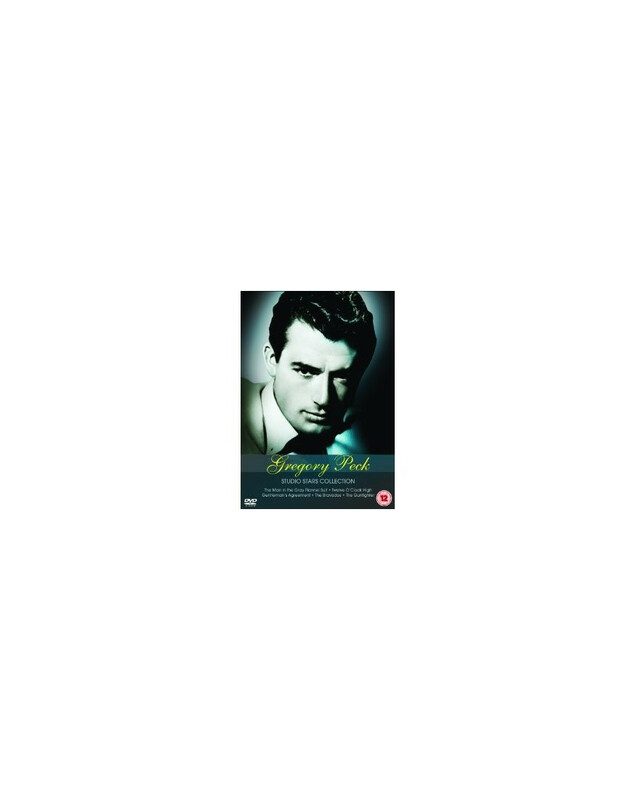 Elia Kazan) (1947): One of the first films to directly tackle racial prejudice, this acclaimed adaptation of Laura Z. Hobson's bestseller stars Gregory Peck as a journalist assigned to write a series of articles on anti-Semitism. Searching for an angle, he finally decides to pose as a Jew - and soon discovers what it is like to be a victim of religious intolerance. The Bravados (Dir. Henry King) (1958): When four men who Jim Douglas (Gregory Peck) believes raped and killed his wife escape from their death sentences, Jim sets out to track the men down and enact his own vengeance. An honest man, Jim sees his actions as just and brave, but as he crisscrosses Mexico to exact an eye for an eye, he comes to realize that he has lost something of himself in his self-absorbed quest for revenge. The Gunfighter (Dir. Henry King) ()1950: Gregory Peck stars as Jimmy Ringo, one of the fastest draws in the West but desperately sick of killing and lonely traveling. This gripping tale surrounds Ringo's efforts to build a new life. Throughout encounters with old friends, new enemies, his estranged wife, and his first meeting with his only child, Peck offers an intricate portrait of a man harboring deep regrets about his own past.